We’re in love with our hometown, Walla Walla. Read on for lots of insider’s tips for where to eat and drink, including some of our favorite wineries. We moved to Walla Walla in October 2016 from Seattle and from the East Coast before that all in search of a place to call home. If you’ve been following us, you’ve noticed the kitchen keeps changing. Well, we’ve been renting in Walla Walla for a year and have only come to love the town more and more. So much so that we want you to come and visit. 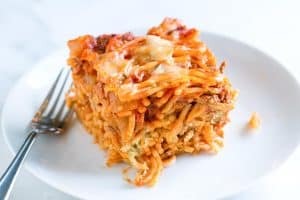 You will love it. 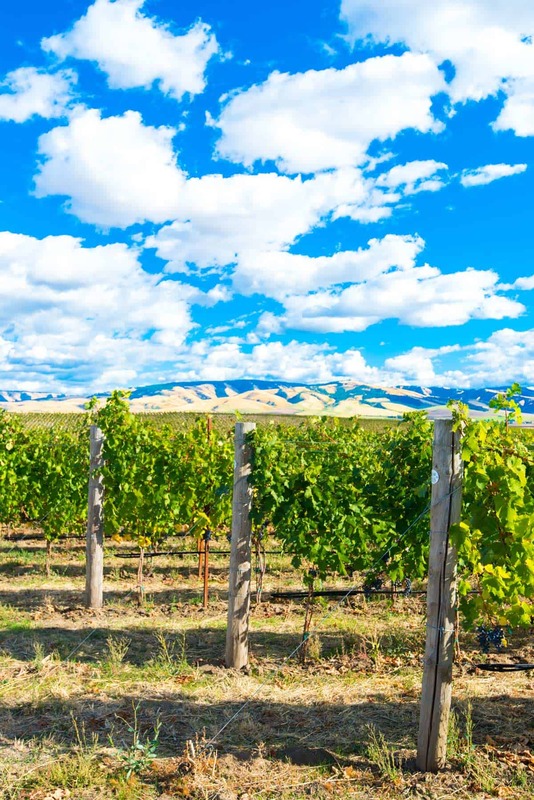 Visit Walla Walla, Washington and enjoy friendly people, world-class wineries, beer, and locally grown eats. There’s also a main street that makes you feel like you stepped onto the set of The Gilmore Girls. It’s the perfect getaway, and as of October 2016, it became our home. I could go on for days talking about what to do when visiting Walla Walla, but for now we’re sharing our perfect weekend in the Walla Walla Valley when we want to feel like we are on vacation. 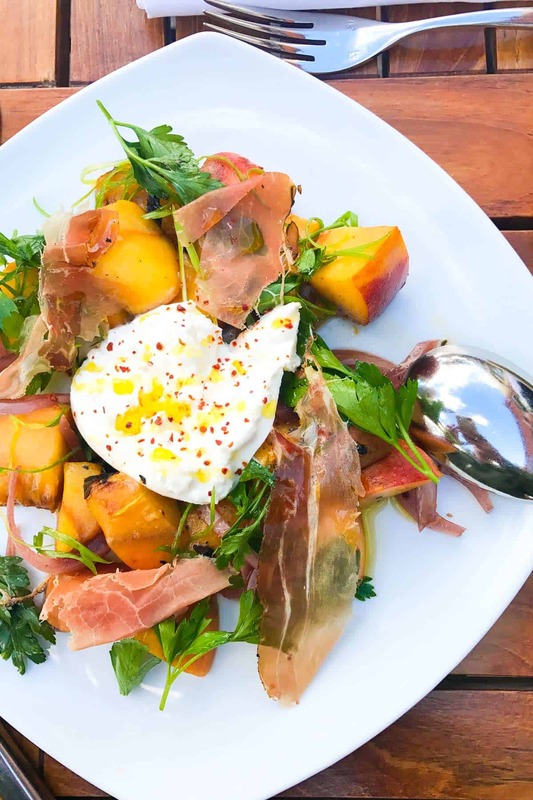 Don’t Miss This: Travel to Walla Walla this fall for an insider’s peek into the Valley’s best tips and tricks. Sip, see and do as the winemakers do through custom itineraries created by Walla Walla Valley Winemakers, available Thursday – Sunday from October 11 – December 16, 2018. Get all the details here! Where is Walla Walla, Washington? Walla Walla is in the Southeastern part of Washington State. We’re so close to the Oregon border that most of us drive over it a couple of times a day. You are looking at a 4-hour drive from Seattle, Portland or Boise and less than 3 hours from Spokane. You can also take a flight straight to Walla Walla Regional Airport from Seattle and get here in under an hour (Alaska Airlines). Tri-Cities Airport — an hour away– is another option when flying from other major cities. We visit Seattle all the time, check out one of our most recent adventures to Mount Rainier. Once you are here, things get easy. Everything is close, and you can say goodbye to traffic. Surrounded by wheat fields, vineyards, and farmland, the scenery changes with the seasons. From bright green to golden wheat and back again. You can see the Blue Mountains, too. Come in the Fall or early Spring and experience the snow capped tops. There are plenty of places to stay in the area. Adorable bed and breakfasts, boutique hotels, larger brand hotels and even vacation rentals (here’s some travel credit for your first trip). Downtown Walla Walla is very walkable, stay close and walk into town like a local! Or stay a few minutes out of town for gorgeous views and sunsets. The Inn at Abeja has been on our list to try for a long time. It’s got some of the most beautiful views in the valley. One of our favorite things about living in Walla Walla is that it is so easy to have a good time. Everything is close, the people are friendly, and there are lots of activities to choose from. Walla Walla knows how to do mornings. We start our day off right with breakfast at Bacon and Eggs on Main Street. There’s a chill vibe, Stumptown coffee, great food, and breakfast cocktails. I love the huevos con chorizo (eggs scrambled with chorizo, cheese, and peppers). Adam goes back and forth between the salmon lox bagel and the classic, bacon, and eggs. 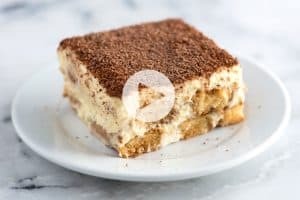 If you need to please your sweet tooth, head over to Maple Counter Cafe on Alder — a 3-minute walk. They’ve got locally roasted coffee, Benedict’s to die for and lots of creative pancake dishes. The apple pancake is a sight to see. I’ll leave it at that. After a leisurely breakfast, it’s time to explore. Most wineries open around 10 or 11 am, so we love sneaking in a tasting before lunch. Stop at aMaurice Cellars for stunning views of vineyards and the valley’s rolling hills. Walla Walla Vintners is right next door and worth a stop. 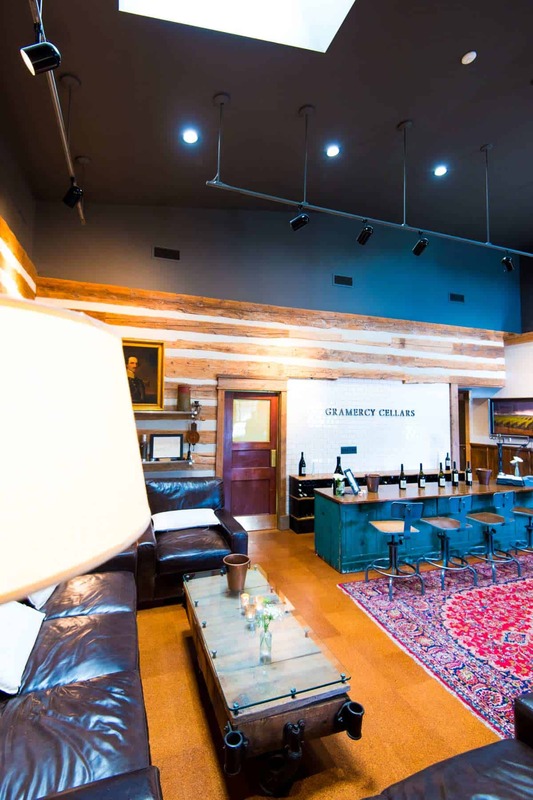 Heading back to town for lunch, we love stopping into Gramercy Cellars (only open Saturdays or by appointment). The tasting room is cozy and sleek. If you can snag it, grab a seat on the leather couch, it’s so comfy you won’t want to leave. This is a good thing because Gramercy’s wine is excellent. We love it so much, we’re club members! For lunch, we love Brasserie Four on Main Street. We like sitting at the bar at restaurants, and the bar at Brasserie is perfect. We usually order a glass of wine — check the list, they have local and European glass pours. 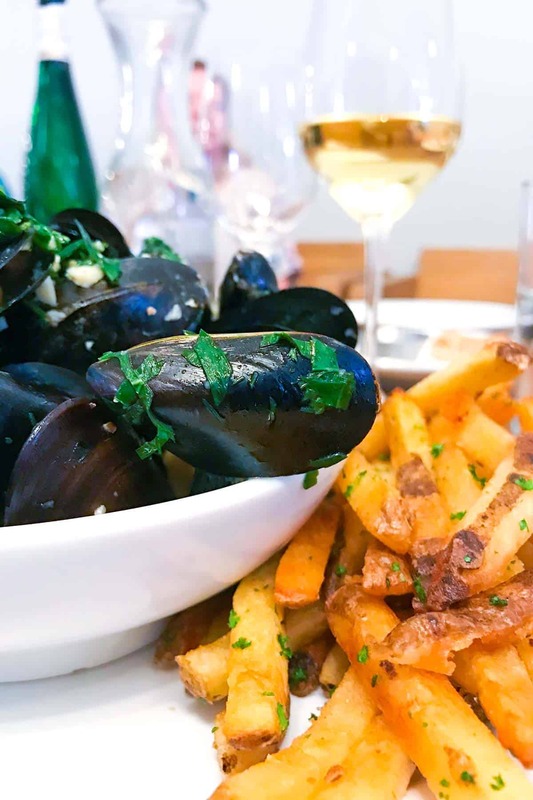 For food, I have a hard time turning down the moules frites (steamed mussels with French fries). When they have it on the menu, the Bouillabaisse is excellent, and the steak frites are crave-worthy. For a more casual lunch, grab a sandwich or salad from Graze, which has two locations in town. The first is downtown on Colville Street. You order at the counter, where you can eat in or take away. The second is a drive-thru on 9th street, which is perfect for ordering a picnic lunch and bringing to a winery or brewery. 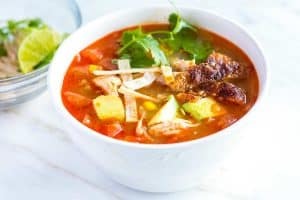 Walla Walla Bread Company on Main Street is also a great option and has some of the best soup in town. It’s time for a little pick-me-up, so we love a stop into Colville Street Patisserie for coffee and if we can fit it, a pastry. I pretty much always fit it! They serve locally roasted coffee from Walla Walla Roastery near the airport. A short drive to Tranche Cellars in the afternoon is always fun. The wine is excellent, tasting room pretty, and they have the best fire pit outside where you can enjoy the views. As you warm up by the fire, you can watch the neighboring sheep munch away with vines in the background. Downtown is the place to be in the afternoon and evening. Most of the downtown wineries stay open a little later than those out of town. Wander up and down, popping into anything that grabs your fancy — there are lots of cute little shops to explore, too. Kontos Cellars and Rotie Cellars (seated tasting) are two of our favorites. Grab dinner at Saffron Mediterranean Kitchen. They’ve got a variety of Mediterranean inspired dishes and house-made bread that’s so good I’d happily eat it plain for dinner. For some house-made pasta and excellent cocktails, head to Passatempo Taverna. Or for a more casual spot with excellent food, Public House on Main Street (they’ve got a nice selection of cocktails, wine, and beer). 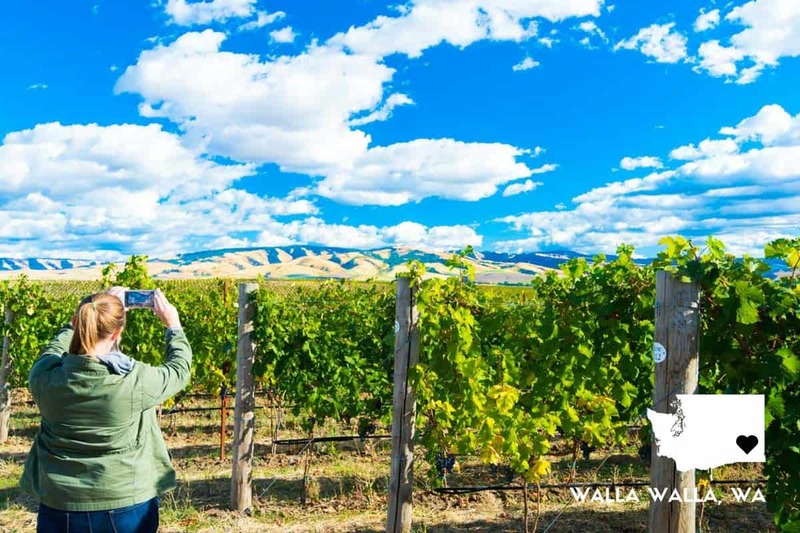 We’ve got so much love for Walla Walla that we’ll be sharing more tips for visiting. Look out for more articles soon. 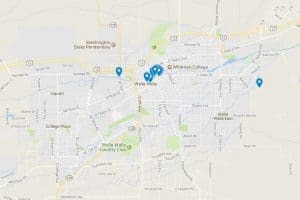 In the meantime, ask questions below in the comments (or check out Visit Walla Walla where you can learn about all the happenings around town). We look forward to seeing you here in Walla Walla soon! I grew up in Walla Walla and visit often. I love going to John’s Wheatland Bakery in the Eastgate area. His pumpkin muffins, marioberry pies and French Boules are great. Actually everything they sell is first quality! I went to university in Walla Walla before settling back in Wenatchee, WA. I really enjoyed Clarette’s for breakfast. The food and atmosphere is just classic American diner/cafe. They have some creative items and do an exceptional job. Nice article. French fries are for hamburgers! I was so offended the first time I was served french fries with mussels. Mussels call for a nice bread for dipping in the broth. That said, your article tempts me to visit Walla Walla. I lived in Pullman and went to Walla-Walla in 1960. Ran the 440 in a track meet. “The town so nice they named it twice.” I’m going to try this pumpkin pie recipe for day after tomorrow! All the best from South Brazil.